Listen: if any two people in the field of black literary study failed to receive the memo about the so-called "end" of African American literature, it was Lovalerie King and Maryemma Graham. Obviously, they were aware of Kenneth Warren's widely discussed book What Was African American Literature? (2011), but to the extent that they were literally in the trenches coordinating several, far-reaching projects related to the field over the last 5 to 6 years meant that they were more likely to consider what the field of African American literary study was becoming. 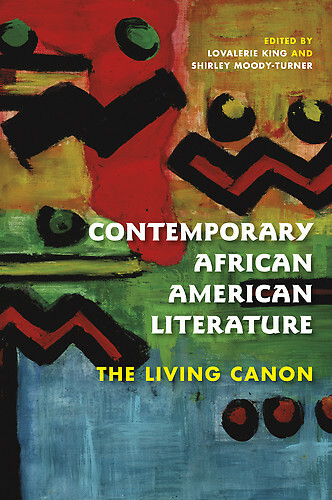 The recent release of King's and Shirley Moody-Turner's Contemporary African American Literature (2013) reminded me that I needed to contribute more to the processes of documenting the histories of our field--where we've been, notable barriers, key turns, and new developments. Over the last 6 years, King has co-organized 3 conferences on African American literature that have brought hundreds of scholars together; her next conference on black poetry, co-organized with Moody-Turner, will take place in October. Graham was a key organizer for the Langston Hughes and Richard Wright centennial celebrations in 2002 and 2008, respectively. She directed an NEH nationwide reading program on Hughes in 2003-2004, an NEH Institute on Wright for high school teachers from across the country in 2010, and then an NEH institute on African American poetry for college teachers this past summer. Somewhere in between, she co-edited (with Jerry W. Ward, Jr.) The Cambridge History of African American Literature (2011). King has co-edited 4 essay collections on African American literature and culture over the last 6 years alone, and she directed an NEH institute on literature in 2012. No question about it, King and Graham have been two of the most consistent and important scholar-organizers in our field over the last 10 years. When and if there was a major gathering of scholars of African American literature that took place during that time period, chances are King or Graham was somehow involved. There are, to be sure, various others across the country doing organizational work in the field--Joanne Gabbin's Furious Flower projects; the annual symposiums co-organized by Joycelyn Moody; the symposiums at the University of Oregon directed by junior scholar Country Thorsson; and the continuing work of those scholars, primarily from HBCUs, who coordinate the annual College Language Association conference. The King and Graham models demonstrate the power of collaborative work in the practice of African American literary study. And those collaborative projects are notable given that our field, like most arts and humanities areas, often highlights single-authored productions. In discussions of King and Graham related projects, the words "co-edited" and "co-organized" appear frequently. One task for our field might involve doing more to truly recognize and assign value to collaborative work. Another task might involve making time and space in graduate programs for training and instruction activities that relate to collaborative projects.